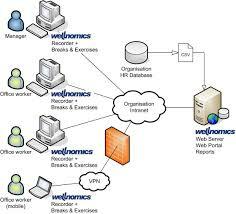 Web server is software that provides web services. Web server uses a protocol called HTTP (HyperText Transfer Protocol). You have many choices in the world of open source, depending on your needs. In this paper we will discuss one of the most famous web servers and a de facto standard Linux distributions, namely Apache. Apache web server is the name that was based on the source code and ideas that exist on the web server ancestors, the NCSA web server. As the name implies, the NCSA web server created by the National Center for Supercomputing Applications. Unlike his ancestors poryek funded by the U.S. government, the Apache web server developed by a group of programmers who work for free by anyone. They are working on this project with a variety of reasons, but the most fundamental reason is they are happy if their software is used by many people.